The LG G5 will shortly receive an update to Android 7.0 Nougat. This has now confirmed the South Korean manufacturer. Selected users have the opportunity to test a beta version of the update immediately. In the autumn, the Google is expected to release a new version of its Android mobile OS. 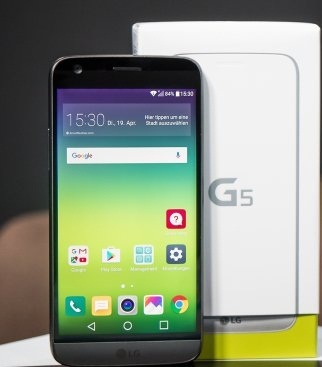 Owner of a LG G5 may then look forward to a timely update for their smartphones. As LG confirms that the South Korean manufacturer is already working on the update for its top smartphone. A beta version of the Android 7.0 update is already available for testing. LG is currently looking for 2,000 volunteer testers. Applications are accepted on the "LG OS Preview" app - but only for users in South Korea. The LG G5 will not be the only smartphone with Android 7.0 nougat. LG has already announced that the next top model LG V20 will be delivered with Android 7.0 nougat. As potential additional update candidates that apply LG V10, the LG G4 and the middle class models LG X screen and LG X Cam. Android 7.0 Nougat brings especially detail enhancement. Among other things, Google has revised the quick sets, and there is now the option to run multiple apps in a split screen. So far, only selected manufacturers offered this option. What's New on Android 7.0 Nougat?